Of Zombies, Aliens and Dinosaurs! You always wanted to hear what your fellow students are working on? Or are you already sick of it? Had too many boring kitchen conversations at house parties or too many bad classroom presentations? Well, both of us know that there are also other ways to talk Science! 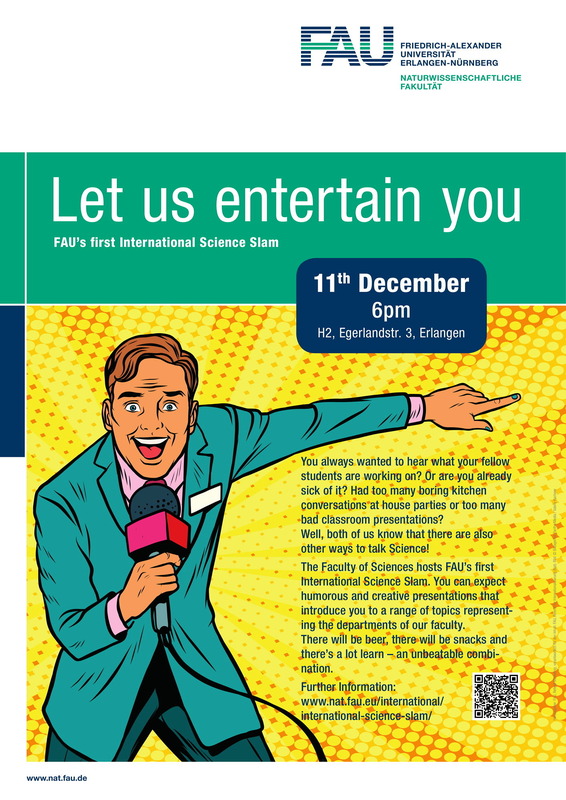 The Faculty of Sciences hosts FAU’s first International Science Slam. You can expect humorous and creative presentations that introduce you to a range of topics representing the departments of our faculty. There will be beer, there will be snacks and there’s a lot learn – an unbeatable combination.